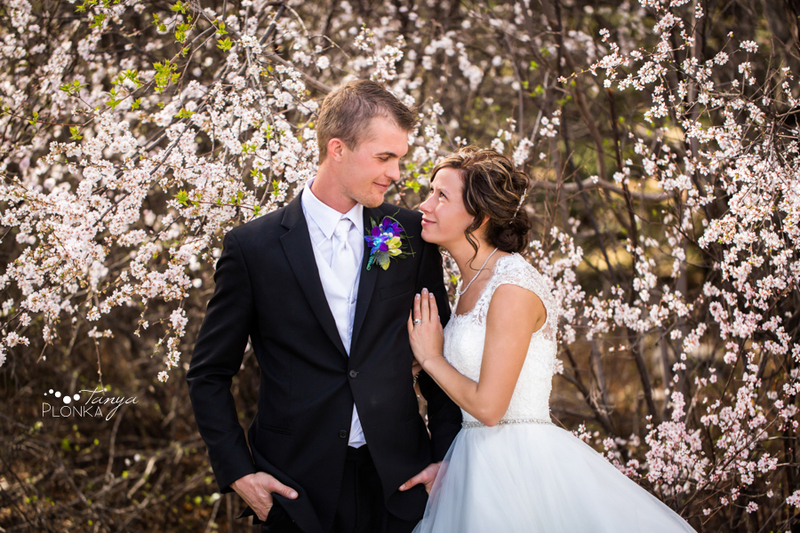 When we booked Sylvia and Jamie’s wedding for early April we didn’t expect we’d be taking Lethbridge spring blossom wedding photos in 27C! This gorgeous day made everyone so carefree and happy. It was beautiful to celebrate this new marriage with the start of a new spring! 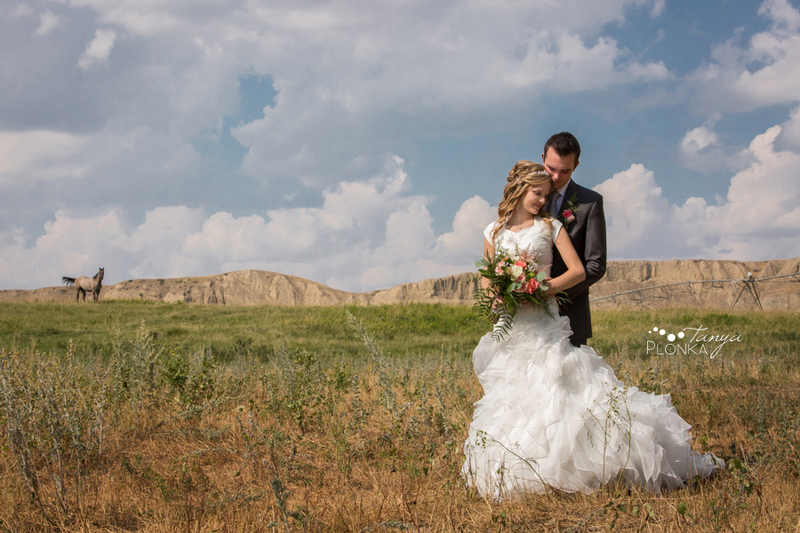 After their ceremony and lunch, we met at the scenic Picture Butte Golf Club for family photos. The gorgeous summer-like day meant we had to avoid a few more golf balls than originally expected! The course was so accommodating and Sylvia (plus her brother sporting crutches) got to be escorted everywhere in a golf cart. We made friends with a horse along the way to Lethbridge, then swung by the University park where we were surprised by the most gorgeous patch of fresh blossoms. We had sent the bridal party away by that point so that Jamie and Sylvia could share some romantic privacy in the beautiful flowers.